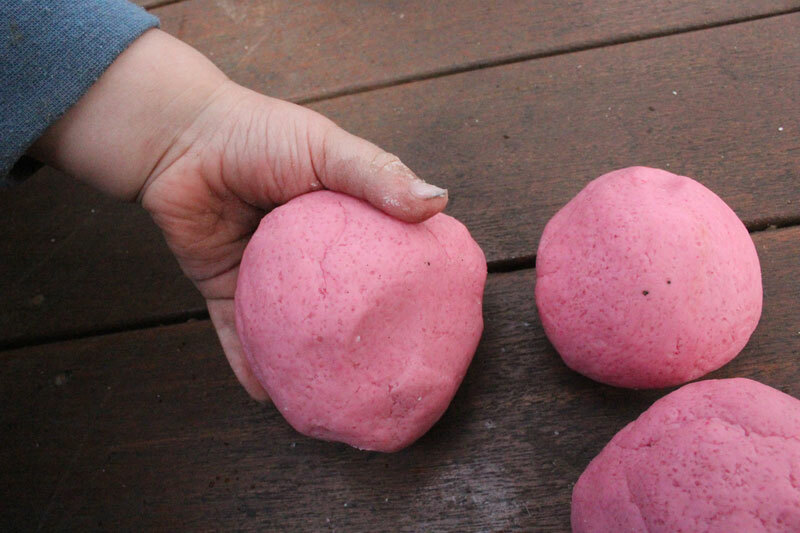 Every toddler loves squishing playdough, but have you ever tried making it with them? I did this today and I think it was the most fun my two-year-old has had since discovering the tissue box. This recipe is so simple I wonder why I have only ever paid for the ready-made stuff. 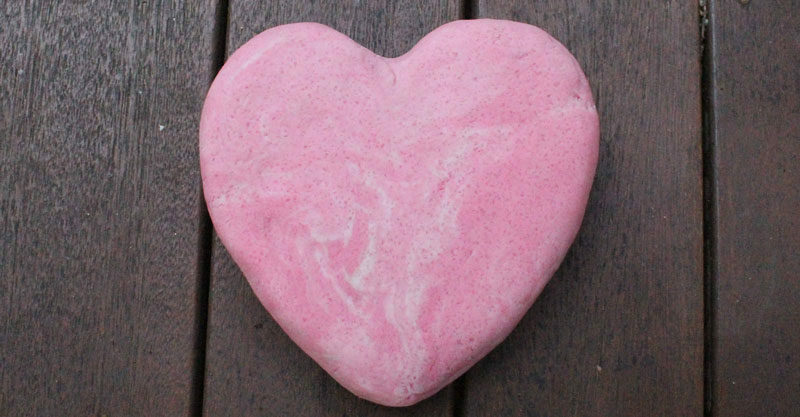 The mixture doesn’t need cooking or boiling water added, which is great as hot playdough can scold little hands (in case he gets his eager mitts on it before it’s cooled). 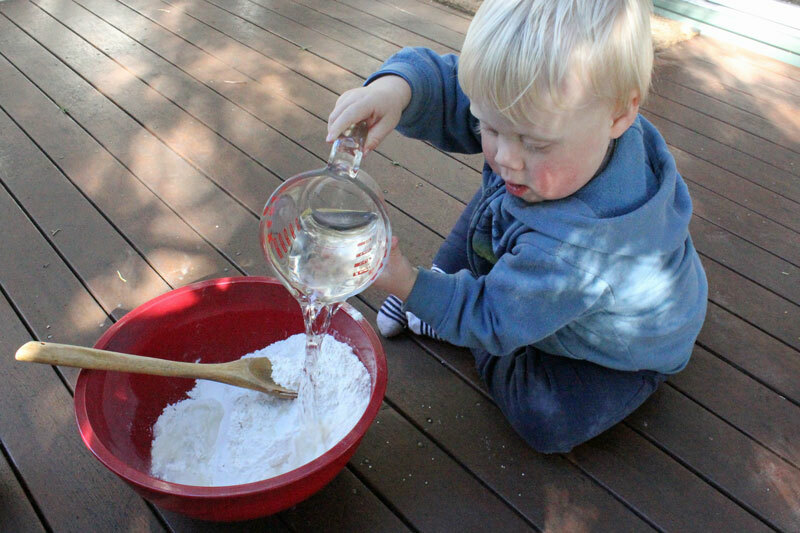 This is a totally safe one for your toddler to make and as I’ve discovered, the only thing better than playdough to a toddler is making it. 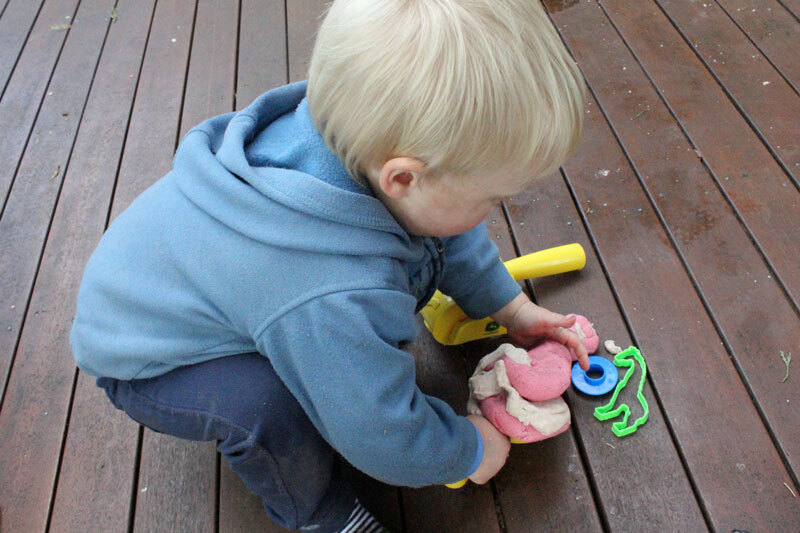 Take this activity outside as toddler-made playdough has to be the definition of messy fun! In a large bowl, add the flour and salt. Stir. Add the water, oil, drops of food colouring (add as many dops as you like to get the desired hue). 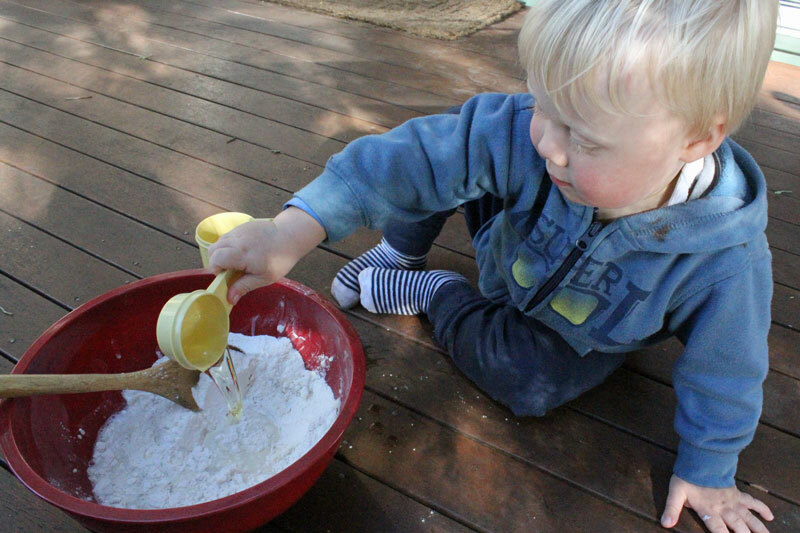 Knead the mixture until it has a playdough consistency (you may need to do this bit to ensure it’s well-kneaded). Tip, if consistency is too wet, add a little more plain flour. Have fun making different coloured batches.